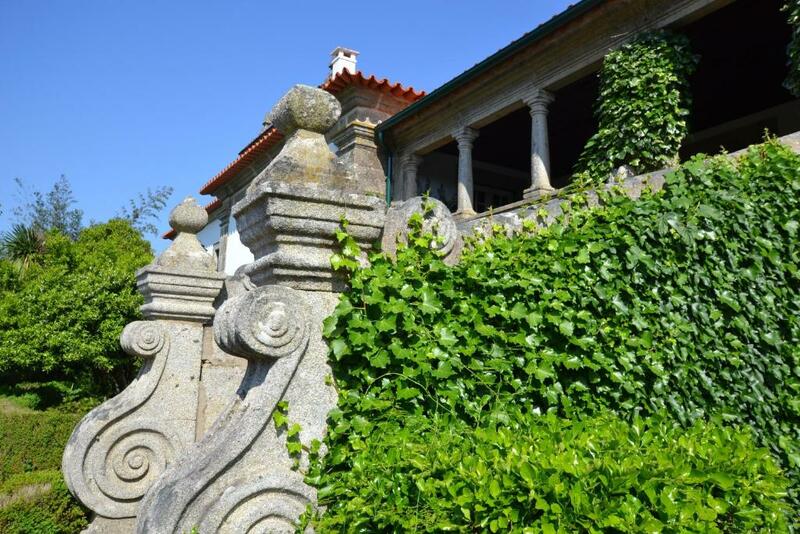 We loved everything about Quinta da Aldeia! Rosa was wonderful. The grounds are beautiful! Loved the walk to town. We had a very nice (fully equipped) cottage. Our Portuguese host was very, very kind and hospitable. Excellent Welcome! Rosa was very concerned in having everything perfect during our stay. This was the most lovely place to stay, undeniably partly because we were the only people there and so we had the place to ourselves. Aesthetically it is truly beautiful; the approach isn't very hopeful as it's rather suburban but then you turn off and find yourself in this paradise. Lovely gardens, beautiful stonework, and endless figs from the tree. An absolutely lovely 4-day stay. The walk to town is along the Ecovia, a not particularly nice stretch of it, but at least you can walk there. Note that Google maps doesn't take you the best way so have a good look beforehand. Location is very quiet, nice gardens. The accommodation is authentic and beautiful. There is a very nice big swimming pool. The host is very friendly and helpful. In the morning bread is delivered hanging on your door. Beautiful property. Very clean. Lovely bread rolls delivered every day. Great pool. Gorgeous property - vineyards and huge orchard on site to wander around in. Very relaxed vibe, gorgeous salt-water pool and lovely apartment with balcony. We had an amazing time - 2 kids age 11 and 13 thought it was brilliant. Very relaxing and stunning location. Gret base to explore Northern Portugal. Only 2km walk in to Ponte de Lima made it easy to wander in for food and shops. Aldi only 10 minute strill away too - really loved it here. Da simpatia do local e de quem nos recebeu. Tudo em feito a pensar no bem estar de quem chega. Adorei a piscina e fomos bem recebidos.a sra Rosa foi sempre muito simpática e prestável. O espaço é lindo. gostei de tudo, a dona Rosa e muito simpatica e o miminho do pão fresco no saquinho pelo manhã e muito agradavel. optimo para descansar a piscina tambem estava bem cuidada. a casinha pequena e a delicia dos pequenos . 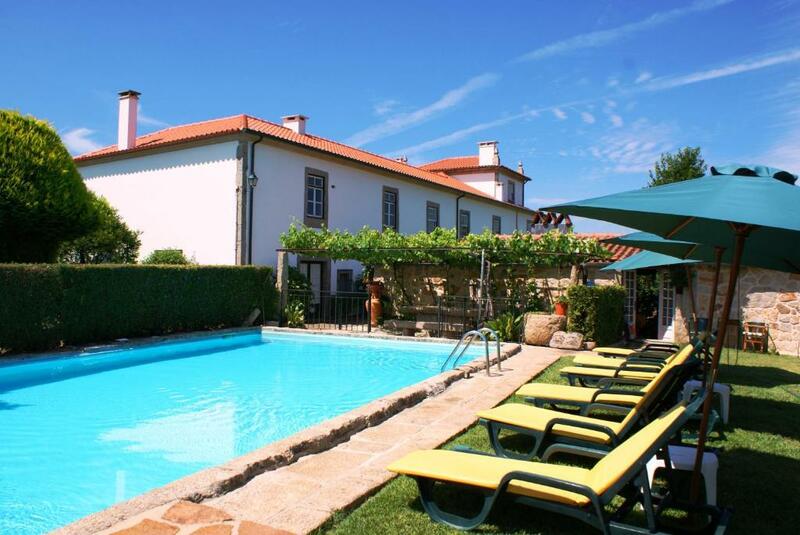 Lock in a great price for Quinta Da Aldeia - rated 9.1 by recent guests. One of our bestsellers in Ponte de Lima! 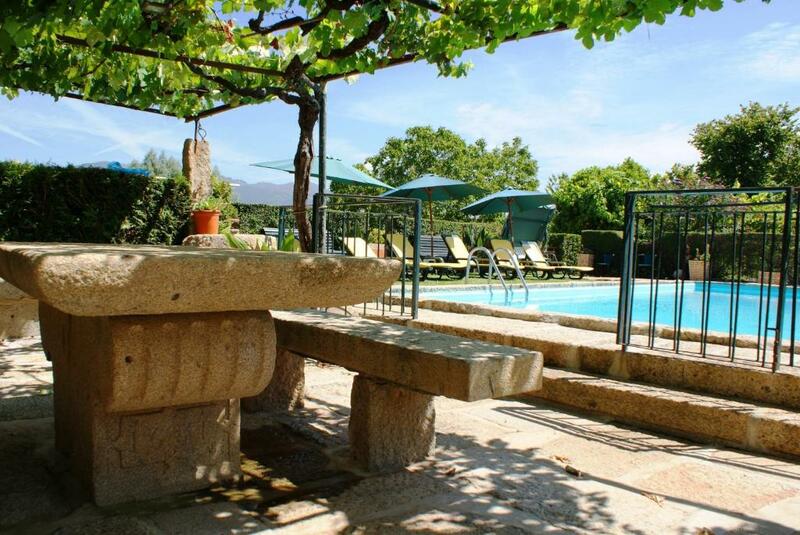 Located in 1.8 Km from the centre of Ponte de Lima, Quinta Da Aldeia offers an outdoor pool and presents a rustic style with granite houses and aristocratic buildings. 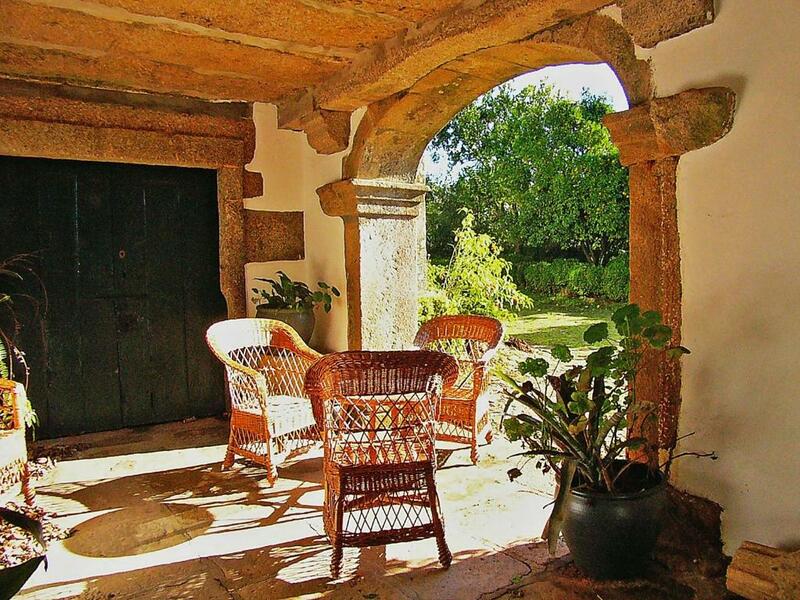 Surrounded by garden the apartments at Quinta Da Aldeia include heating and private bathrooms. They feature 1 double room or 2 double rooms with rustic furniture. Guests can prepare their own meals at the fully equipped kitchenette that each apartment features. Barbecue facilities are also at guests’ disposal. A great variety of traditional Portuguese restaurants can be found in the heart of Ponte de Lima. The Lima River is 600 yards away and guests can explore its shores by engaging in activities like hiking or cycling in the Ecovia. The historic city of Viana do Castelo is 34 Km away and Porto International Airport is 82 Km away. This property is also rated for the best value in Ponte de Lima! Guests are getting more for their money when compared to other properties in this city. 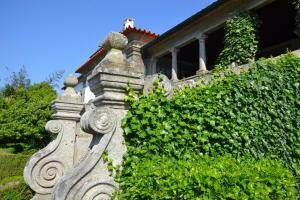 Quinta Da Aldeia has been welcoming Booking.com guests since 29 Nov 2013. When would you like to stay at Quinta Da Aldeia? This apartment is equipped with antique furniture and includes a double room and a private bathroom. The living room features sofas and a dining area. The fully equipped kitchen allows self-catering. This apartment is equipped with antique furniture and includes 2 double rooms and a private bathroom. The living room features sofas and a dining area. The fully equipped kitchen allows self-catering. This apartment features a sofa, stovetop and kitchenette. 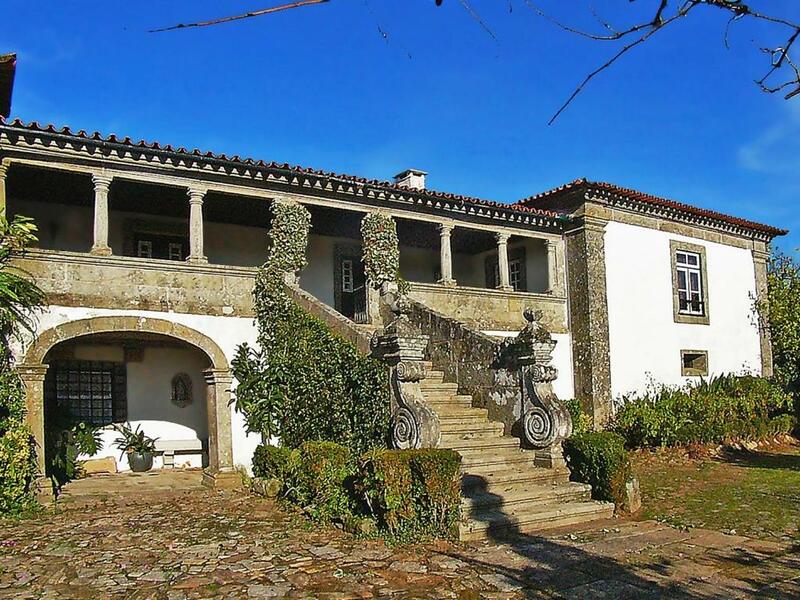 Muito próximo de Ponte de Lima, em tranquilo ambiente rural a Quinta da Aldeia tem à disposição de quem a procura, um antigo moinho com um quarto de casal, sala e cozinha. Cuidadosamente decorado com mobiliário rústico, de acordo com a saudável vida do campo. Um passeio pelas vinhas leva-o até às margens do Rio Lima. House rules Quinta Da Aldeia takes special requests - add in the next step! One child from 2 to 12 years is charged EUR 23 per person per night in an extra bed. 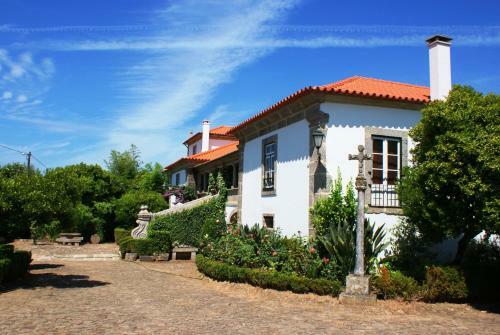 Quinta Da Aldeia accepts these cards and reserves the right to temporarily hold an amount prior to arrival. The only problem we had was getting to the Quinta. We plugged in the latitude & longitude and that didn’t work. We got to within two kilometers and finally Rosa came and met us & led us there. If they would just note to turn on Rua da Capela de Sao Jose and follow it straight ahead down the narrow alley it would be easier. Loved everything else?? The cottage had 2 separate bed and bathrooms. One of the bathrooms was particularly small. Only one other person has mentioned the traffic noise, which was noticeable. In truth, there was quite a lot of agricultural activity going on and not the blessed silence one might hope for. The beds were hard. Beds a little old. Very hard to find but friendly local helped by opening back gate. No signs or name on house outside. Beautiful place. Excelent service and kindness. The property is close to the motorway, and this wasn't an issue at all (in fact very handy access) however, a couple of days the wind blew from the motorway in our direction which meant we could hear the traffic on the road. Not a big deal, but if you like absolute quiet, this might not be for you!